Name the sugar and rum-producing country that lies along the Atlantic Ocean between Venezuela and Suriname (it also shares a border with Brazil). If you answered “Guyana”, give yourself a gold star. 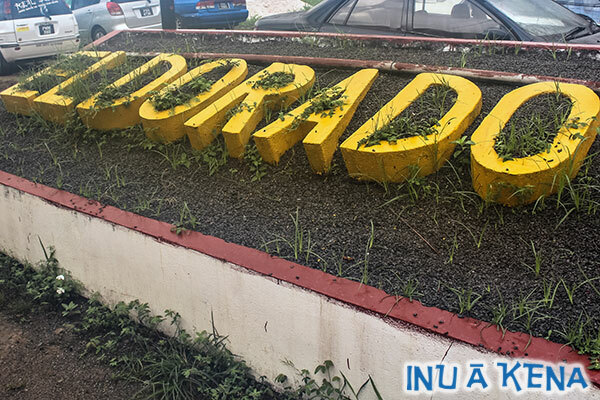 The former colony founded by the Dutch and subsequently ruled by the British has been independent since 1966, and is home to one of the most fertile sugar-producing regions in the world. 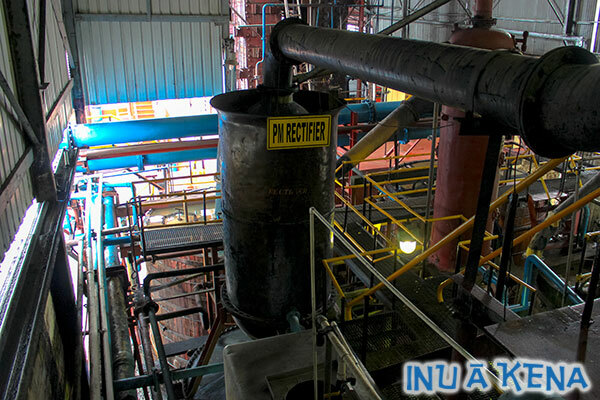 In days gone by, it was common for a Guyanese sugar factory to operate a distillery to upcycle the molasses into rum. 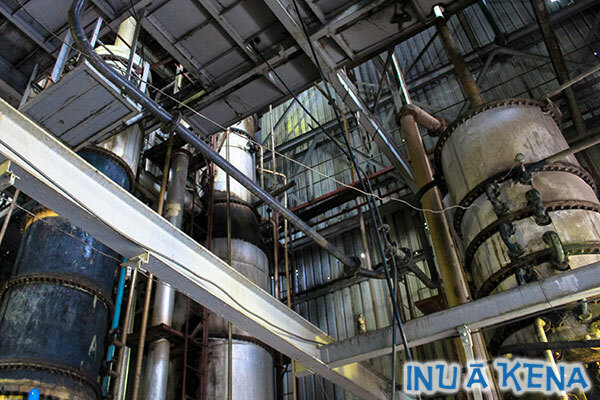 But as the sugar industry fell on hard times, the stills went cold and the distilleries were shuttered. 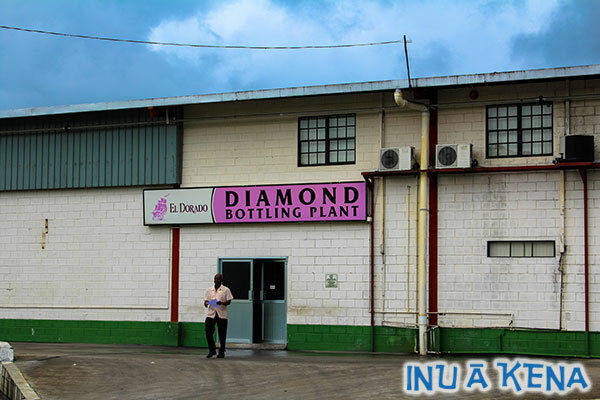 Today, the only remaining distillery in Guyana is Demerara Distillers Limited (DDL), a publicly held company with 9,000 shareholders. 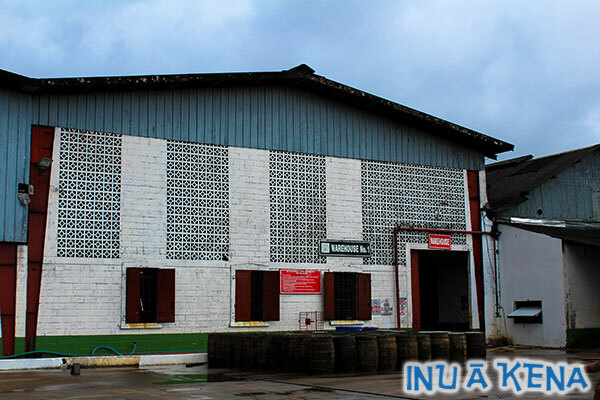 Located at the Diamond Plantation along the East Bank of the Demerara River, this is where you can find some of the rum world’s oldest and most historically significant stills—not in a museum, but in the still house making rum. For this reason, DDL has been described as the rum world’s Mecca—an almost sacred place that every true rum aficionado must endeavor to visit at least once. Arriving at the gate, we’re greeted by DDL’s Shaun Caleb, a gentle giant of a man with a quick smile and quiet confidence. Caleb, a graduate of Princeton with a degree in Chemical Engineering, is a rare commodity in a country famous for its “brain drain”; he was promoted to Master Distiller after a decade with the company. Who better to show us around? 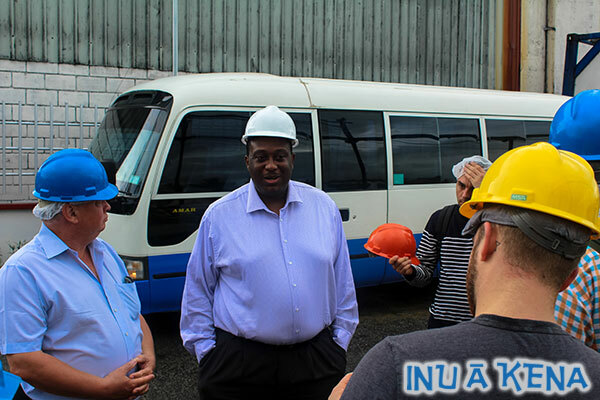 We began our tour at the end of the process, where we saw DDL’s most recent innovation—an EU/WIRSPA-financed digestion system that makes enough biogas to meet 70% of the distillery’s energy needs. The balance is generated with diesel, but Caleb hopes to eliminate the need for diesel soon by using other green technologies such as solar. 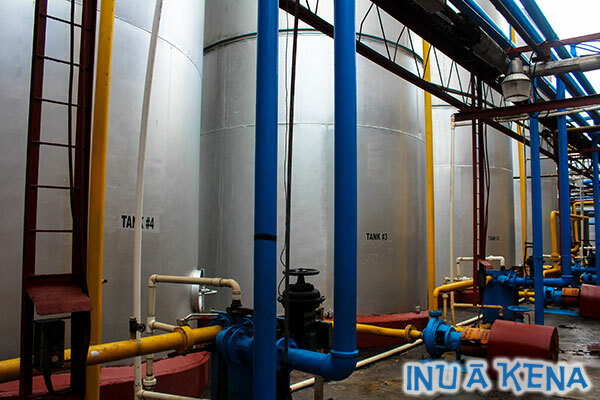 The system is fed with 800-1200 cubic meters per day of wastewater (211,000 – 317,000 gallons) which provides a perfect feedstock for conversion to biogas, and greatly reduces the biological oxygen demand (BOD) discharged to the river. 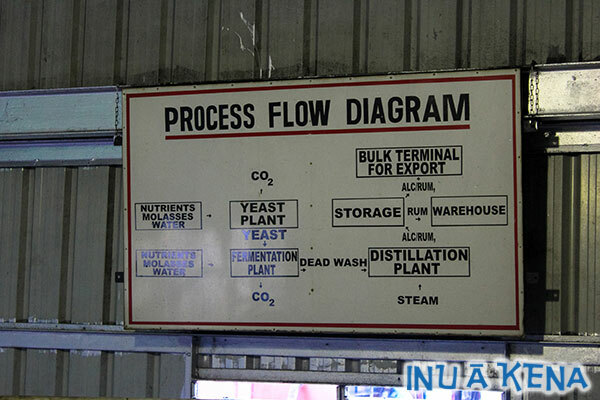 From the digester, we moved to back to the beginning with the yeast propagation and fermentation process. Using 100% Guyana molasses and standard dry yeast, nutrients are added and the yeast is propagated over 24 hours in a closely-controlled process that accounts for temperature, pH and sugar content. From there, the yeast is added to the bulk molasses and fermented for 20-24 hours, or until the Brix level drops from 84 to about 19. At this point, the wine is 8% ABV, which is 2% higher than in previous years. (Moving from 6%-8% wine meant an energy savings of 25% on the distillation side.) Using closed-top tanks allows DDL to capture the resultant CO2, which is captured, scrubbed and sold as 99.999% pure CO2 for food grade use (DDL’s closed-top fermentation capacity is 400,000 gallons). From the fermenters, we moved to the still house, where we would see DDL’s amazing collection of column and pot stills, the newest of which was made in the 1980s, and the oldest of which was made in the 1700s! The French Savalle Still is an original four-column still dating to the 1700s. 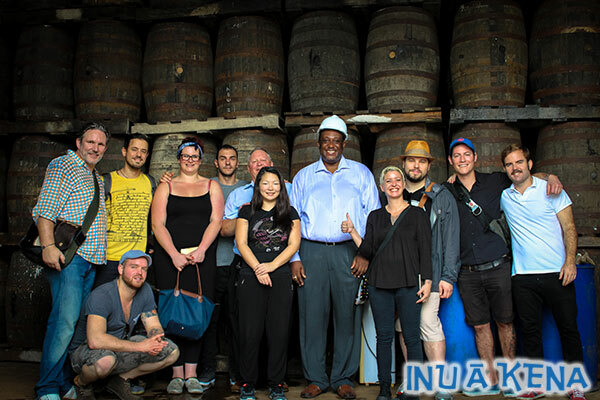 It was originally from the Uitvlught Distillery (pronounced “eye-fluht”) which was located next to the Isaac Christiany Boody Plantation (the two of which were known collectively as ICBU). The distillery closed in 2000, and the still was transferred to the Diamond distillery. The continuous still can reach an impressive 90-94% ABV, and yields a diverse set of rums with a signature coconut note—over two dozen marques in all. We were treated to a sample directly from the still, and it was indeed delightful. We then moved down to see the famous wooden pot stills, now more than 250 years old. 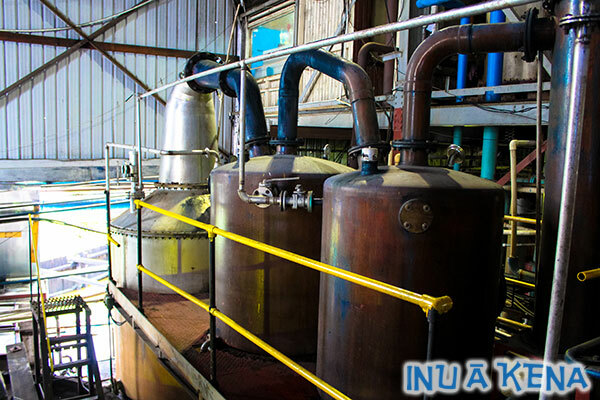 The double wooden still hails from the Port Mourant (PM) Estate, which was founded in 1732. 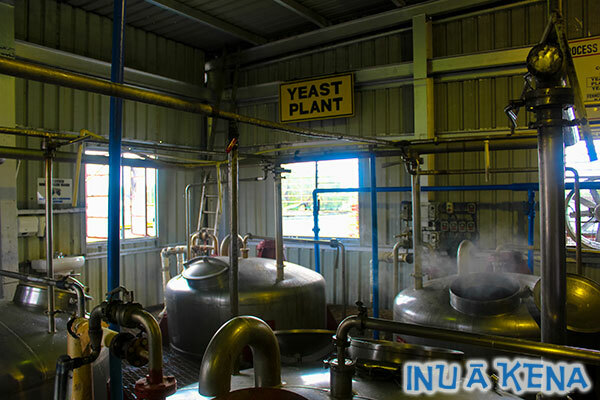 The PM still was later moved to the Uitvlught distillery before moving again to Diamond in 2000. 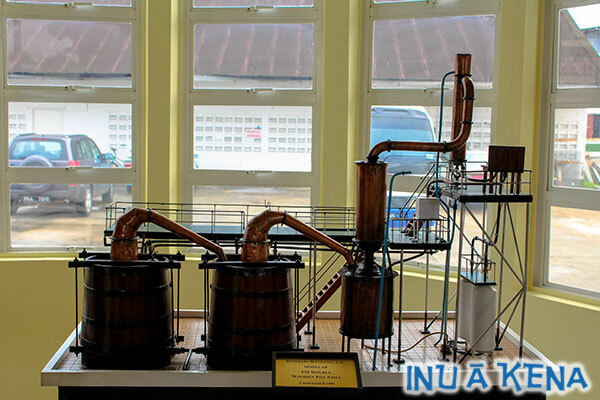 The single wooden still was originally from Versailles along the West Bank of the Demerara. 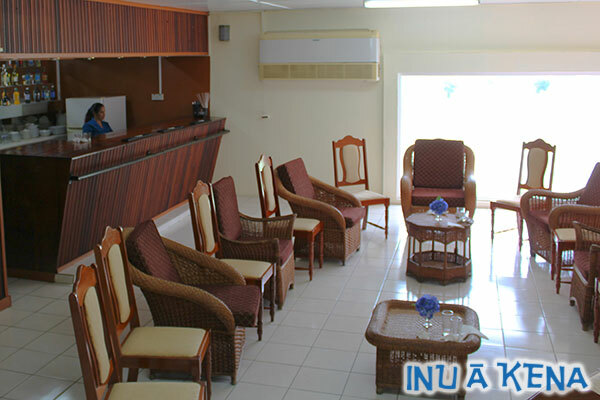 It was subsequently moved to Enmore, then Uitvlught, and finally to Diamond. The two wooden pot stills produce fruitier, heavier distillates, small amounts of which are used in all of the El Dorado premium blends. The retorts are charged with heads and tails “to give the right punch” according to Caleb. 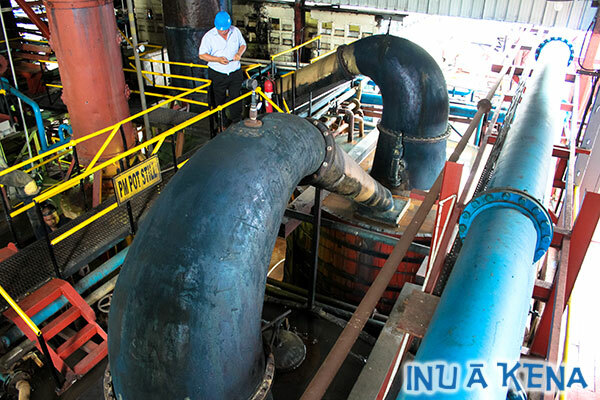 Congener levels from the double wooden pot still can reach as high as 800 ppm (all of their other stills top out at around 100 ppm). The wood must be replaced from time to time, but can last decades if properly cared for. In addition to the wooden pot stills, DDL operates a John Dore high ester pot still, which is outfitted with a “double thumper” arrangement. Just past the wooden pot stills, we see the famous EHP wooden Coffey still from the Enmore Sugar Estate, founded by Edward Henry Porter (EHP). While the idea of a wooden still may seem odd today, Coffey stills (invented in 1832) were being made of wood as late as the early 1900s, according to DDL’s Caleb. DDL’s wooden Coffey still was made in 1880, and continues to run regularly today, making medium-bodied, fruity rum up to 90% ABV. 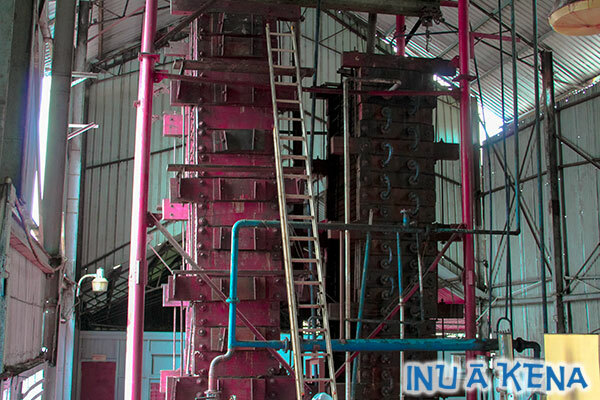 In addition to the antique stills, DDL operates newer five-column stills that can operate under vacuum or positive pressure. Running under vacuum can reduce energy consumption by as much as 30%, and yields a slightly different flavor profile (pressure affects volatility, and therefore flavor). These stills can take the ethanol to 96.7%, so it’s here that DDL makes neutral alcohol for its locally-marketed Ivanoff vodka. After standing in awe of the stills, we moved on to the barrel warehouses, where DDL stores an eye-popping 89,000 barrels—a number the company hopes to double by 2020. Entering warehouse number one, the smell of 26,000 barrels of delicious rum tantalizes us as we learn that the evaporation rate through the Kentucky Bourbon barrels here is 5%-7% on average. DDL’s coopers reassemble barrels as necessary, but do not re-char them. 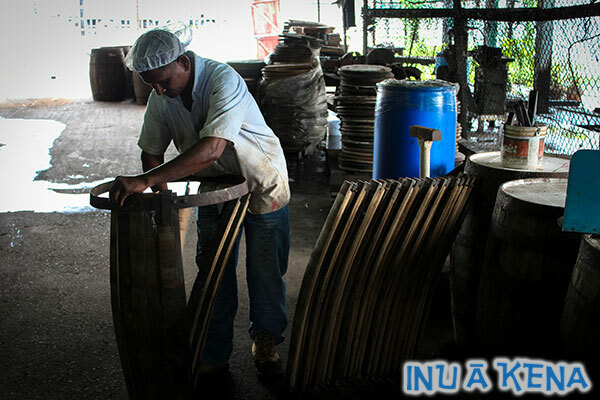 All of the rum in these barrels come from single stills, and are blended post-aging. We were treated to a taste from a barrel filled in 2001 at 55%, a one year-old Savalle rum at 70%, and a 2010 EHP. Each was phenomenal. As a side note, the method to remove the bung from the barrel was quite interesting: the warehouseman simply whacked the barrel a few inches to the side of the bung, and it popped right out! 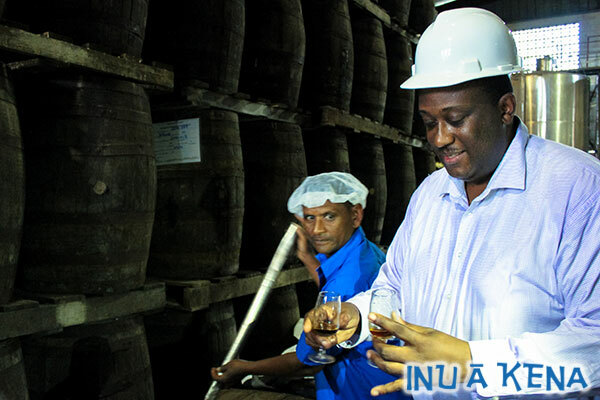 Once dumped, the rums are chilled to -20°C and filtered with a 0.1µ filter before moving to one of the three new state-of-the-art bottling lines. 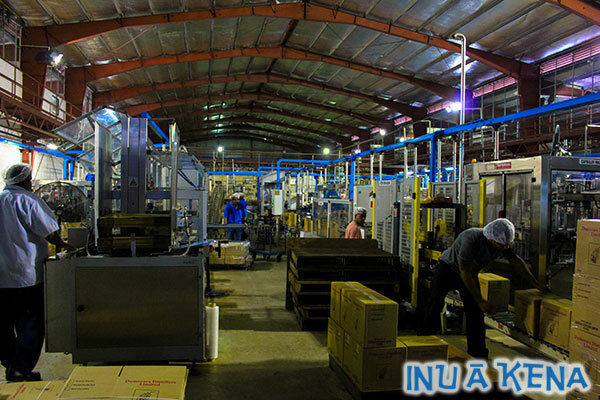 The three lines combined are capable of producing up to 23,800 bottles per hour. 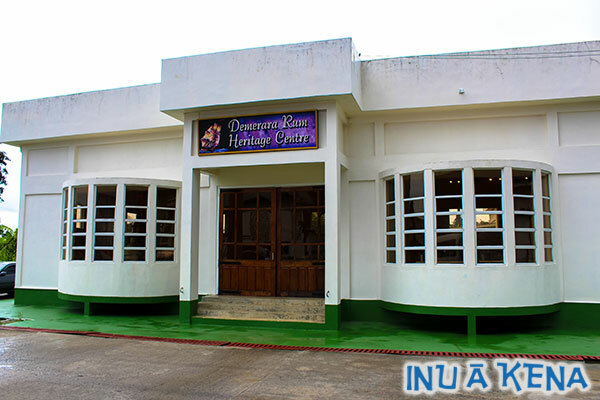 After touring the bottling plant, we walked over to the heritage center—a museum created in 2007 to honor the history of Guyanese rum-making. There we were greeted by DDL Master Taster, Sharon Sue Hang Baksh. 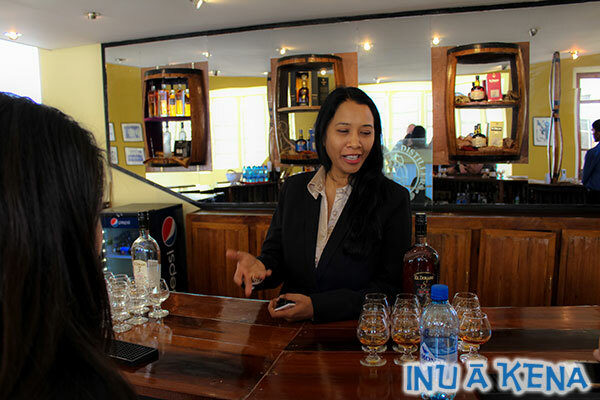 A chemist by training, Sharon moved from the analytic to the organoleptic in 2009, and oversees blending for the El Dorado line of rums as well as DDL’s bulk rum products. Sharon showed us around the museum which houses many interesting historical photos, and amazing scale models of the various stills in use at Diamond distillery. 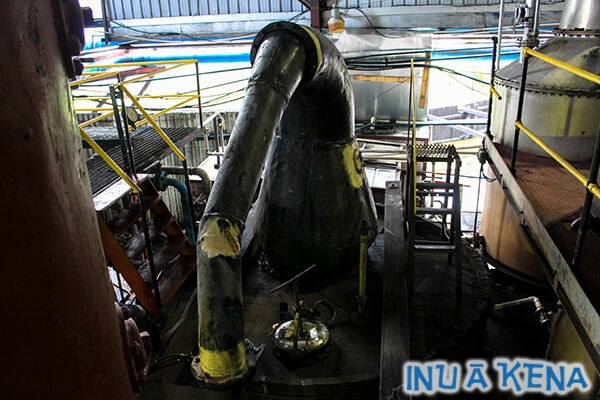 There are also pieces of retired copper equipment polished to an almost unimaginable luster. Just beyond the museum, the tasting room beckoned. There we took seats at the Barrel Bar, which is constructed almost entirely out of retired rum barrels. 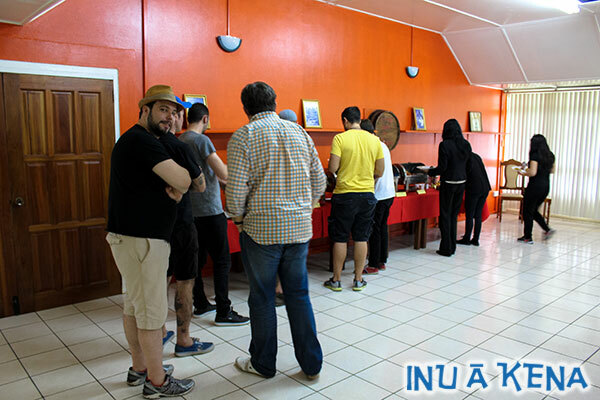 After sampling the rums and chatting for a bit, we took a short ride to the DDL Staff Club. 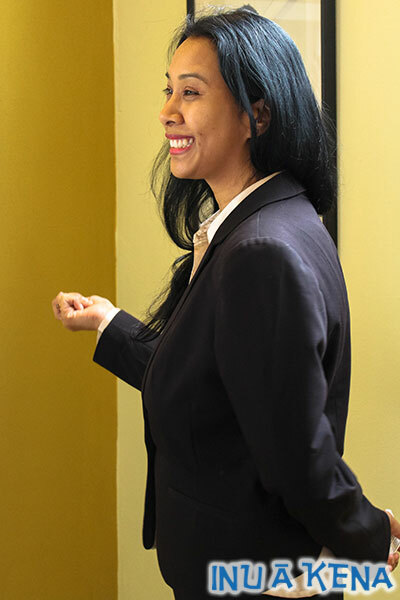 At the staff club, we were joined by DDL Marketing Director Sharda Veeren-Chand at yet another bar that featured the entire DDL lineup. Preprandial libations prepared our bellies for the amazing Guyanese luncheon prepared by the staff chef, which would fortify us for the 35 kilometer ride to the Enmore Sugar Factory (a narrative of that visit can be found here). Many thanks to the DDL team for their hospitality. The entire experience at the Diamond Estate was incredible, and one cannot help but be amazed by the juxtaposition of old and new technology, history and innovation, operating side-by-side. In a country that has struggled economically, throwing things in the bin is never the first option. 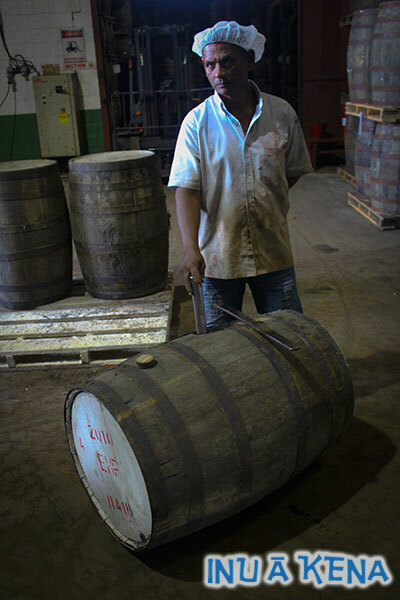 In Guyana, old is made new through thoughtful determination and hard work, and we rum aficionados are privileged to continually taste the fruits of this labor.